Scanned. Copy neg. 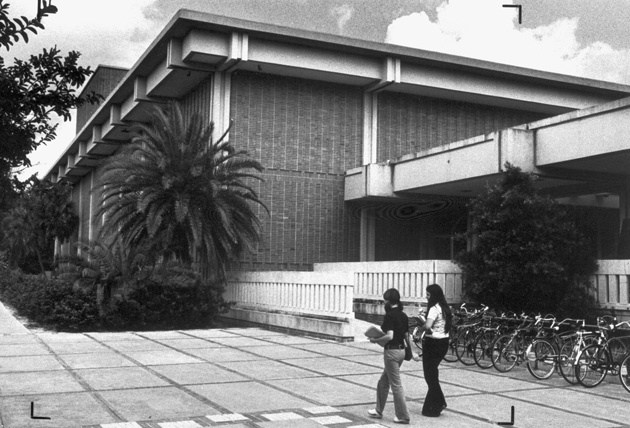 Two young women walking near the H. P. Constans Theater, part of the J. Wayne Reitz Union complex on the University of Florida campus. Probably early 1970's. Photograph 8840 from the University Archives Photograph Collection.